Get your order in quick - there isn't much time! 2017 is very nearly here and Amazon is having an End of Year Sale to Celebrate. We've gathered together all the latest Amazon bargains including the Lightning Deals that are on right now, thanks to our clever Lightning Deals widget. Amazon's End of Year Sale is now on until 23:59 GMT on Saturday, 31 December. Some deals are Lightning Deals, for which you can see, in real time, the units available and time remaining. Some deals are Deals of the Day; these start at 00:01 am and end at 11:59 pm (subject to availability). Check out Amazon's End of Year Sale! The best Amazon Lightning Deals on right now! The etail giant will be running both Lightning Deals (that last four hours) and Best Deals that usually last until the stock ends – so they might last a couple of days, for example. Lightning Deals run on products available at a discount, in limited quantities, for a short period of time. Amazon Prime members have an exclusive 30-minute early access period to all Lightning Deals – and that includes members on the 30 day trial. 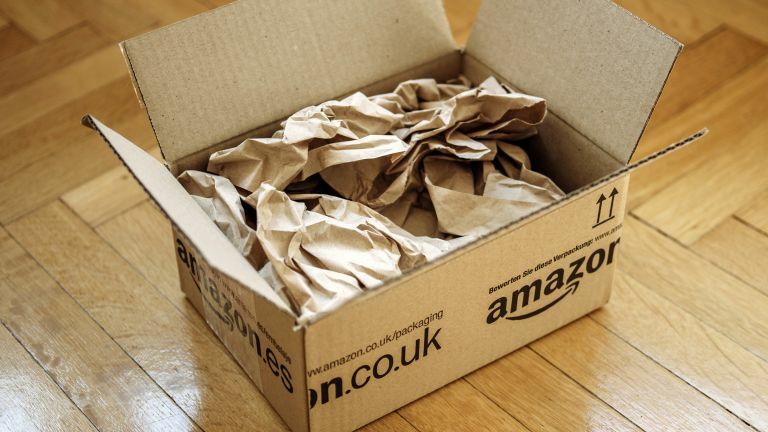 Over a thousand Amazon Marketplace sellers are also taking part in The Black Friday Sale, offering double the number of deals compared to last year. Looking for the best phone deals? Amazon Echo is £149.99 and the Amazon Echo Dot selling at £49.99. Not only that, Amazon is also selling its fastest-selling product, the Fire TV Stick at just £33.20. Fire TV will give you access to tens of thousands of TV episodes and movies, from Amazon Video, Netflix, BBC iPlayer and more, plus games, music and apps. The Amazon Fire TV is also cheaper at £64.99, an £15 discount. And why not sign up for Amazon Prime? This extremely light weight kindle brings comfort to one-handed reading. So, if like me, you usually wake up to your book smashing you in the face, fear no more my friend. Weighing at 131 grams, that's apparently the weight of 13 £1 coins, it is the lightest kindle on the market. It's clever ergonomic grip shifts the centre of gravity to the palm of your hand, allowing comfortable one handed reading for hours. Left handed? No problem, it works for both left and right handed people. If you're old kindle is on its way out? Or you're still yet to convert from hardbacks? Black Friday could be a good opportunity for you to invest. The price may appear steep, but keep an eye on it, we're sure to see some great deals that won't leave you disappointed. The Amazon Fire TV set-top box is compact to the point of invisibility. At 115m-square, 17.5mm deep only the tiny white LED light gives it away. The top box boast some game changing features from, a microphone remote with voice search recognition, accelerated streaming and an App store populated with games, real games! Priced at £75 he Amazon Fire is an attractive and affordable alternative to the Apple TV. The interface is intuitive and simple, that even your gran would be comfortable using it. On Black Friday (where Amazon is likely to be pushing its fruitful Prime subscription service, tied to the best elements of the Fire TV box), we wouldn’t be surprised to see this get a hefty discount. As an alternative, the 7-inch, 8GB Amazon Fire tablet can take quite a beating for its £49.99 price tag. And as a loss-leading device for Amazon we predict some attractive deals this Black Friday. When Amazon released their smart speaker, Echo, over a year ago, we were excited to meet Alexa, Amazon very own Siri, but also how the speaker would develop. Fast forward, 18 months and we are witnessing the evolution of the Echo with the launch of the Echo Dot. Shaped like a hockey puck, the Echo Dot makes the Echo appear huge in comparison. Thanks to Amazon listening to customers questions, 'can't we just connect the Echo to our existing hi-fi? The Dot has all the versatile of the Echo, and the brains of Alexa, just minis the internal speaker. Not only is the Echo Dot smaller, it is also cheaper and at less than £50 we already feel its worth the price tag. But wait a week or so and we believe it will become even cheaper as prices get cut for Black Friday. If you weren't quite sold on Amazon's Fire TV or you don't have a 4K TV, then the USB sized Amazon Fire Stick could be the gadget for you. Like the size, the price tag is small, making it a budget friendly way of catching up on your favourite TV series. And don't be surprised to see prices hacked even more for Black Friday itself. Though it is not essential that you have Amazon Prime, you can get a lot more fire from the TV stick if you have an account. Like access to Amazon Prime Videos, a rival to Netflix. Better still, Alexa can now help you find your favourite shows as the stick has been recently updated using the same voice-activated remote that’s used with the bigger Fire TV. The £20 off promotion for Amazon Prime has now ended but the service still offers stunning value at £79 for a whole year. For that you get free next day delivery on your orders, as well as access to Amazon Instant Video, Amazon Music and a whole range of other services.